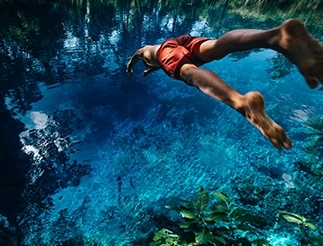 Reducing this natural marvel to words is no mean feat – basically, you’ll find yourself swimming in nature’s very own infinity pool, atop a beautiful waterfall, surrounded by gum trees, and with unparalleled views of the southern end of Kakadu National Park. You won’t believe your own eyes! Dive in to the main plunge pool at the bottom of the waterfall, or work up a small sweat along the short Gunlom Lookout Walk to the rock pools at the top. 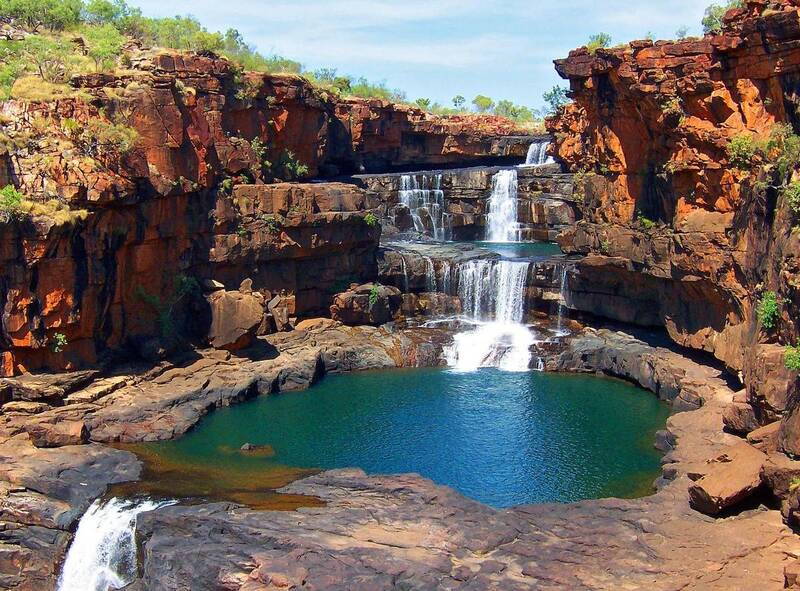 The falls are best accessed by 4WD, and you can stay nearby in the Mary River Roadhouse or at Gunlom Campground. 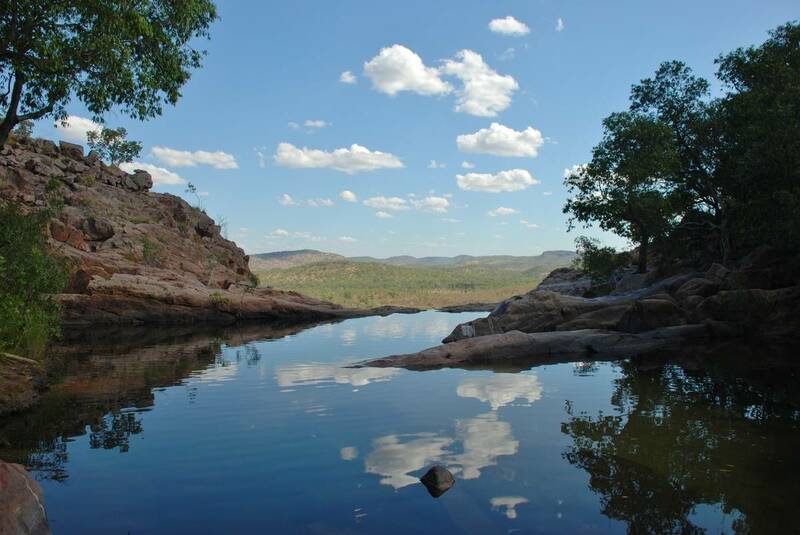 Nearby in the Mary River region of Kakadu, there are excellent walking tracks, scenic drives and picnic areas. As with any swimming holes in the Northern Territory, it is important to be aware of crocodiles. While you take a dip in Millaa Millaa Falls, keep your eyes peeled for a Ulysses Butterfly or even a platypus! This picture-perfect spot often features in postcards and calendars, and even made its television debut on a Herbal Essences shampoo ad! Right beside the small Millaa Millaa town, you’ll find the waterfall circuit of Millaa Millaa Falls, Zillie Falls, Elinja Falls and Pepina Falls, most of which have barbeque facilities, toilets, lookouts and picnic spots. 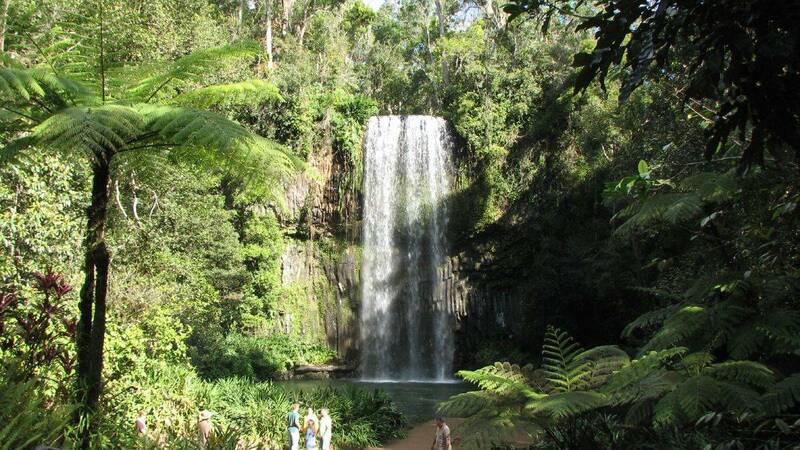 Millaa Millaa Falls are the best for swimming, nestled in among lush green rainforest ferns and a grassy picnic area. Accompanied by beautiful rock art of the Wunambal people, the thundering Mitchell Falls in the Kimberley is a sight to behold. The walk to the falls from the campsite is about 5 hours return and not always well-marked, so is better for stronger, longer legs with more patience and experience. Swimming is not allowed in the pool at the base of Mitchell Falls, which is both a sacred site and sometimes the stomping ground for some unfriendly saltwater crocs. Above the falls and along the walk there are numerous other creeks, falls and swimming holes, including Mertens Falls, where you can take a dip. There is even the option of a helicopter flight from the top of the falls! 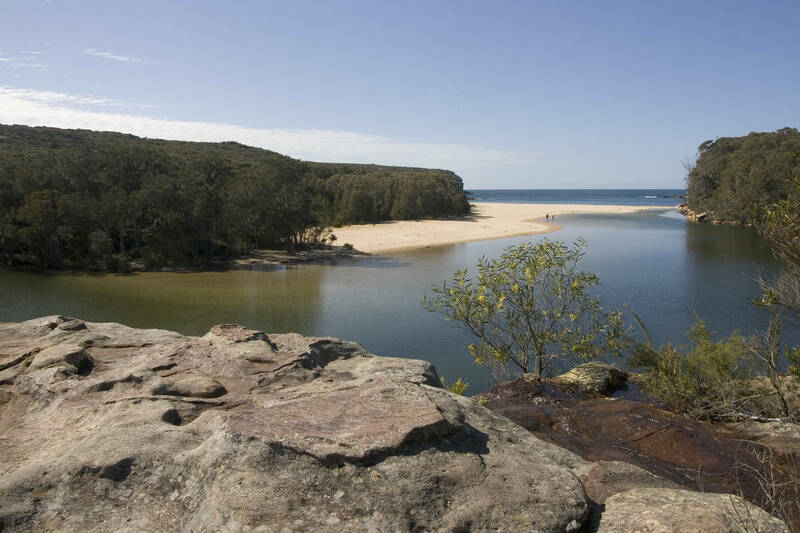 Wattamolla is a triple threat – there is a lovely lagoon, a brilliant beach and a wicked waterfall! It makes sense that ‘Wattamolla’ means ‘place near running water’ in the local Aboriginal language. Only 50 kilometres from Sydney city in the Royal National Park, Wattamolla can be accessed on foot along a section of the Royal Coastal Walk, or by car, with parking available right near the Falls. From the top of the Falls you can look over the lagoon and out to the ocean, both of which are reachable by a path from the parking area. There are no lifesavers on duty in the area, but the waters are fairly calm in both the lagoon and beach, so are ideal for littlies. The vast Royal National Park also boasts the Karloo Pools, Figure 8 pools and numerous other swimming holes for you to scope out. This is without a doubt a swimming spot unlike any other. The pristine waters have been filtering through the limestone for millennia, eventually forming the underwater miracles of The Chasm and The Cathedral. 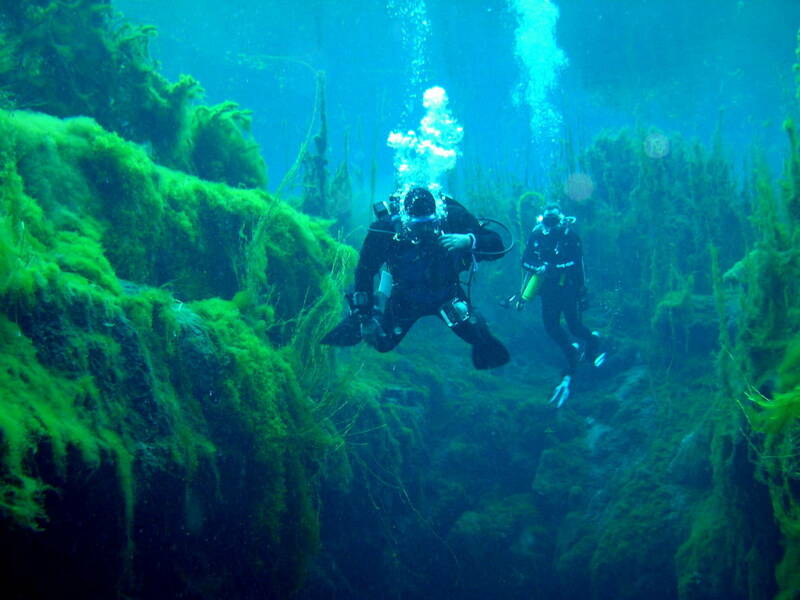 With a permit, you can snorkel or go recreational diving in the First Pond and The Chasm to view the awesome flora and fauna under the surface. 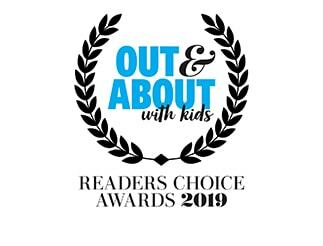 With more experience, you can delve deeper into the mysterious secret world beneath but this is only suited to teens with extensive diving background. Even without a permit, it is definitely worth a visit to this conservation park for a peek from land, as there are countless tracks that will take you through the wetlands, past ocean vistas, and along the sand past bubbling springs. You can also camp at Piccaninnie Ponds camping area and swim at Discovery Bay.